Happy New Year 2014! This year has been busy as always. January 2013 found me at George Mason University for my second semester of freshman year. I spent the spring semester completing general education classes and one communications class. My official major is communications with a concentration in journalism and a minor in non-profit studies. In the summer, I vacationed at our beach house, Cool Cat Cottage and interned at the Cape May Magazine, where I wrote articles for the online website, checked copy on the August issue, and wrote an article A Breed Apart (about the dog show in Wildwood, NJ) published in the Winter 2013 issue. I will intern at the magazine again next summer 2014. 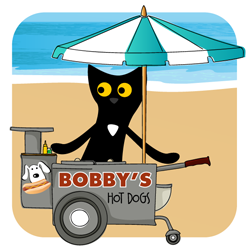 I also worked at Bliss Homemade Organic Ice Cream shop in Cape May as well as becoming a volunteer at Animal Outreach of Cape May County! I continue to dedicate my Friday nights to saving as many animals as I can for Lost Dog and Cat Rescue Foundation, at home in Virginia. This August, I started my sophomore year at GMU. I finished the semester strong and have a great line up of classes for next semester. I continue to be busy with my pet sitting business and of course, working on my Sandpiper Cat Blog. In May 2013, I wrote my 100th post and I treated myself to a professional make-over done by Glogirly Designs and absolutely love the final product (pictured above). I continue to do 2-4 posts a month featuring book reviews and product giveaways. It has been a wonderful creative outlet for me. Hi, my name is Pearl and I'd like to see this Barbie jacket in cat size? Oh wait, you say it's one size fits all? More like one size fits nobody! Zodiac Compatibility with Sandpiper Cat! ~I was recently reached out to by a Pet Psychic who wanted to feature a post on my compatibility with Piper. I was so excited to hear what they thought of Piper and I, since we have such a strong bond. All I had to share was my birthday (December 30) and Piper's birthday (September 9) and here it is down below! If you're interested in receiving a reading, we may be offering a giveaway in the future. Please leave a comment so I can gauge the interest :) I think everyone would benefit from this amazing opportunity! Family pets have always had a purpose for the productivity of the home. Some dogs would be used to herd sheep, milk from cows would help nourish the family, and the chickens in the coop provided a multi-purpose food item. However, each animal’s role wasn't always the only reason their humans kept them by their side. The human-animal bond has the potential to be one of the strongest relationships in our lives. The unconditional love and raw emotions that animals exude help form a powerful connection with human and pet. In fact, many believe improved heart health and overall lower stress and anxiety levels are in direct connection to having an animal companion around. The Capricorn is ruled by the planet Saturn and it is also an Earth sign. Those born under this sign are notably tolerant, loyal, and responsible. Like the mountain goat – constantly trying to climb higher up the mountain – Capricorn sets their sight high and climbs past any obstacles in order to achieve their goals. Meanwhile, being an Earth sign always keeps the Capricorn with at least one foot on the ground while they are ascending to their goals. To do this, they will always take a well thought out and practical approach. Jupiter is the ruling astrological planet on Rachel’s birthday, December 30th. This interjects a higher level of energy to Rachel’s Capricorn traits. Those born on this date are very friendly, loyal, and honest in their expressions. They have an overall positive outlook which causes them to be idealistic but with their Capricornian sense of responsibility interjected to avoid becoming unfocused. Virgo pets tend to be very demanding animals. They know what they want and aren’t afraid to make their desires known. Like the human Virgo, you will often see animal Virgos taking extra care to maintain cleanliness. They will either look forward to bath time or spend more time grooming than normal. The Virgo pet can also be very picky, which plays into their sometimes demanding demeanor. They know what they want to eat, when they want to play, and when they want to be left alone. They expect you to know all this as well. While demanding, the Virgo pet also is capable of exceptional love and doesn’t require too much to be happy. They don’t need extravagant food or toys; they just prefer the same toys and food they’re used to. Keeping it simple and consistent is all it takes to keep this animal sign on your side. With both being Earth signs, Rachel and Piper are already prone to being a more compatible match. Neither is flighty, and both don’t require extravagance. Since both pet and pet parent can be prone to getting somewhat emotional, they can respect each other’s grounded beliefs, ways of doing things, and desires. With Rachel being a Capricorn, working endlessly to achieve her goals, she likely took the extra time and effort to figure out Piper. Her patience led to a deeper understanding of Piper and allowed her to keep a consistent schedule that caters to Piper’s needs and desires. With these needs being met, Virgo Piper shines brightly and is able to show great love for Rachel. On top of that, Rachel nursed Piper back to health. Rachel’s act of love and kindness proved to the Virgo cat that Rachel was loyal and caring. Rachel’s care helped maintain and improve Piper’s health – very important to the Virgo – which further deepened Piper’s feelings for Rachel. They definitely are a match made in the stars! Want your own compatibility match up for you and your best friend? Our friends at Psychic Source are professionals with years of experience, and pet psychic readings are a fun way to get insights into your furry best friend’s behavior and quirks! Everyone who knows me, knows I am a jewelry lover! 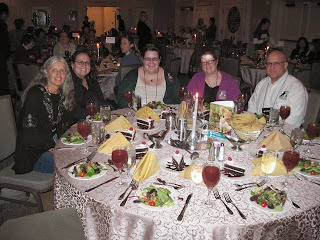 I have met amazing people through my blog and via Facebook. Shannon Gianoni is among those people. 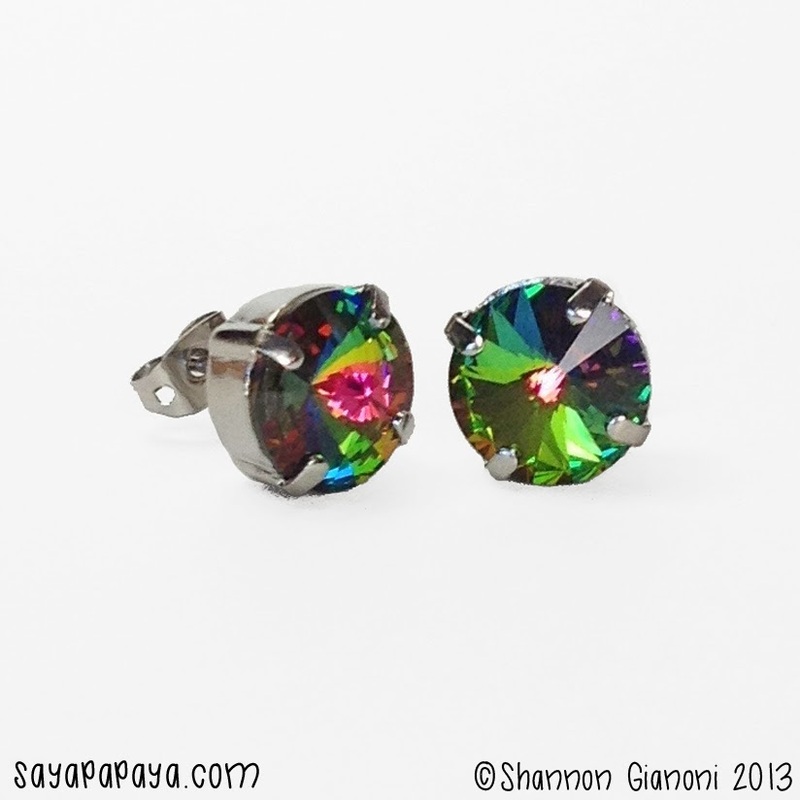 Shannon owns the small jewelry business, Saya Papaya. 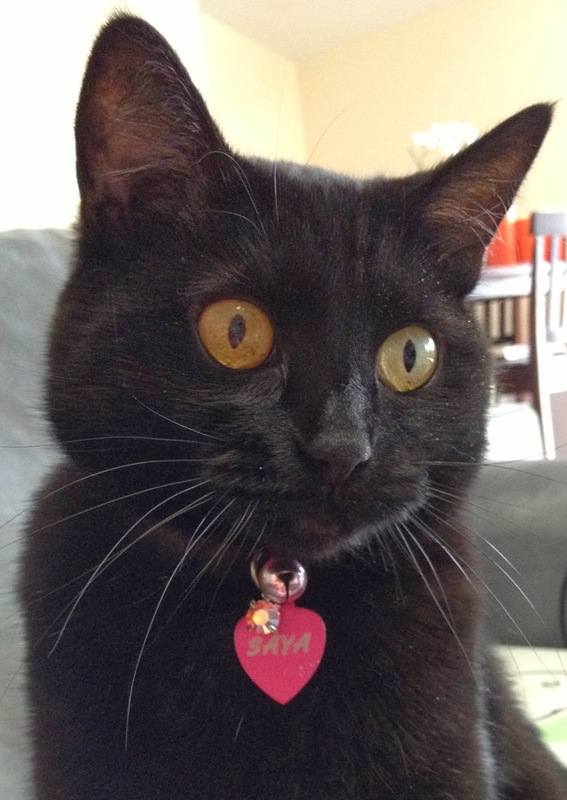 Saya Papaya's mascot is none other than Shannon's black cat, Saya. Saya sporting a Swarovski crystal on her collar. I happened to win a pair of earrings on the Saya Papaya Facebook page, and knew that doing a review would be a perfect fit for my blog. Based out of Pittsburgh, Pennsylvania, Shannon personally creates each and every piece of jewelry sold. A portion of the profits proceed Animal Friends No-Kill Shelter. These earrings are perfect to dress up an outfit, but can be worn on casual days as well. I highly recommend all of Saya Papaya jewelry. Sandpiper Cat Blog got a chance to interview Shannon and learn about Saya Papaya and how it all came to be. 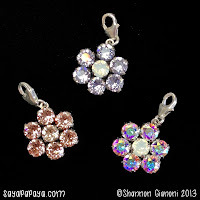 Shannon has graciously offered a giveaway and coupon code for my readers. All information will be at the bottom of the post. Sandpiper Cat Blog (SCB): How did you get involved in making jewelry? Is it something that you always wanted to do? Saya Papaya (SP): I have been crafting and making jewelry my whole life. I have always made jewelry for myself and as gifts, and I like to try new trends in jewelry because what I am able to produce is usually less expensive and of better quality than mass-produced options. 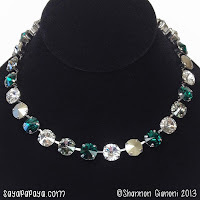 When I started making Swarovski jewelry, I quickly learned that not only that people want it, but also that it's not really feasible to make a small quantity just for personal use. Thus, Saya Papaya was born, largely by accident! SCB: What made you use Swarovski crystals? SP: I use Swarovski crystals because they are the worldwide standard in crystals and nothing else has been able to compare since their inception. Daniel Swarovski started the company in the 1800s, invented cubic zirconia, and created the standards and methods by which Swarovski crystals are produced - something that no other company has ever been able to replicate. By using Swarovski crystals, I feel like I am part of that rich history. Additionally, Swarovski is the only company that produces totally uniform, flawless crystals, with regards to both cut and color. I purchase my crystals in factory-sealed packages to ensure authenticity, but the truth is that any layperson would be able to tell the difference between Swarovski and their competitors. They're that much better. SCB: What was your first creation? What is your favorite creation? 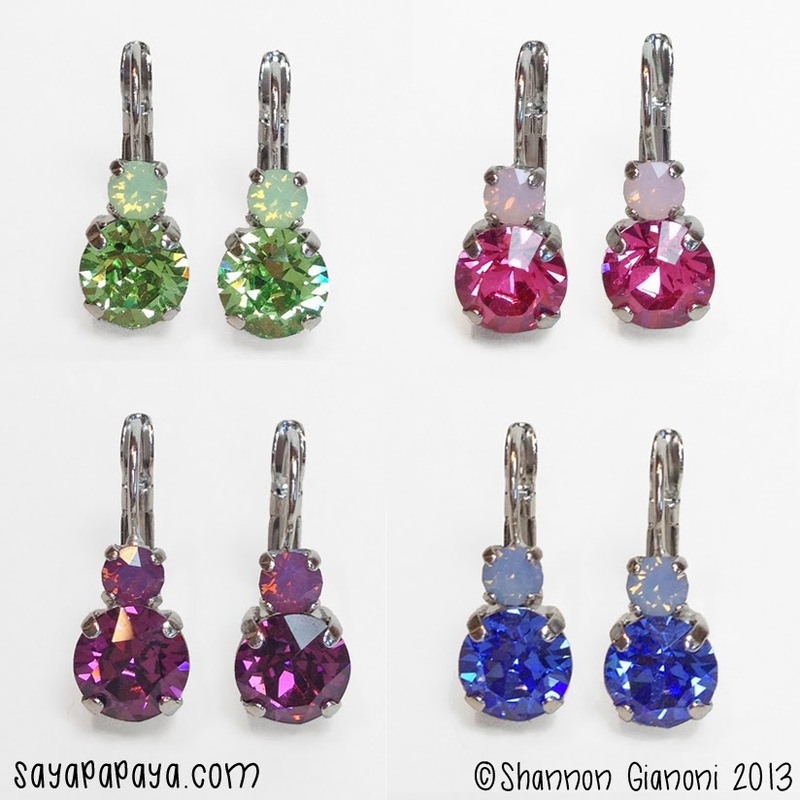 SP: When I started Saya Papaya, it included beaded jewelry, which I made for years before I got into Swarovski jewelry. 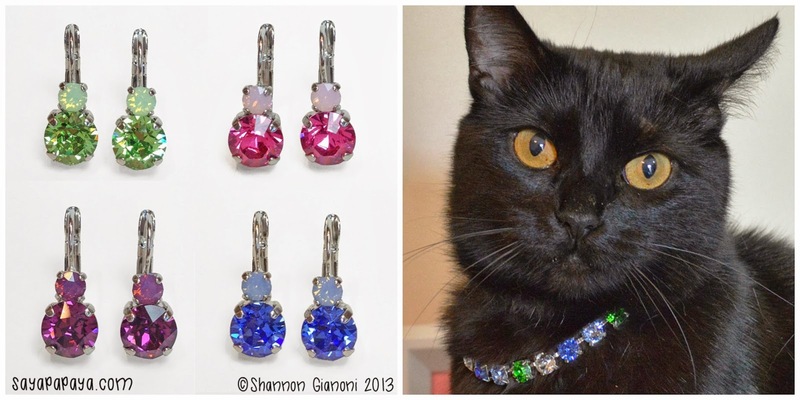 I learned quickly that my Swarovski designs literally outshine my other jewelry, so I donated the remaining inventory of beads to a secondhand clothing store that is a nonprofit organization and donates to dozens of animal shelters and rescues in the Pittsburgh, PA region. I am a corporate sponsor of that charity and continue to have a wonderful relationship with them. As for my current favorite, I don't think I could choose! I produce a new collection biyearly, and I literally spend hours on each design before it is finalized. Because of that, I have come to love each one for it to make the cut! SCB: I read that Saya came into your life from a no-kill animal shelter and that a portion of your proceeds goes to that shelter. What made you adopt Saya? How does she inspire you? SP: I grew up with primarily purebred pets, and I didn't know anything about pet adoption or the number of homeless animals that are euthanized all the time. Because of that, educating people about the plight of homeless pets is very important to me and is the reason why my business has a charitable component. 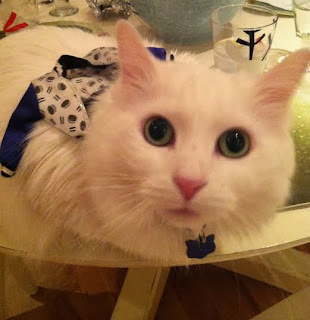 After moving in to my first apartment, I met and fell in love with my first cat ever, as I had grown up with dogs. With my new found love for cats, my boyfriend and I visited Animal Friends to meet some cats we had seen online. When we visited, those cats weren't available but a little black cat was in a pink cage (pink is my favorite color). Her name was Mamasita, and it suited her. I knew immediately that she was the one, and the rest is history! I like to make clear that Animal Friends is a no-kill shelter. Pet overpopulation is a serious problem that is everyone's responsibility, not just the responsibility of shelters. The shelters that are forced to euthanize pets take excellent care of as many animals as they can and they do great work. The thing that I love about Animal Friends being a no-kill shelter is that they are able to take in pets from other shelters where animals would otherwise be put down. They see pet overpopulation not as an issue of euthanasia but of education. If more people knew about pet adoption and speutering (spay/neuter), then we wouldn't need to distinguish certain shelters as being "no-kill." SCB: What dreams/aspirations do you have for the future of Saya Papaya? 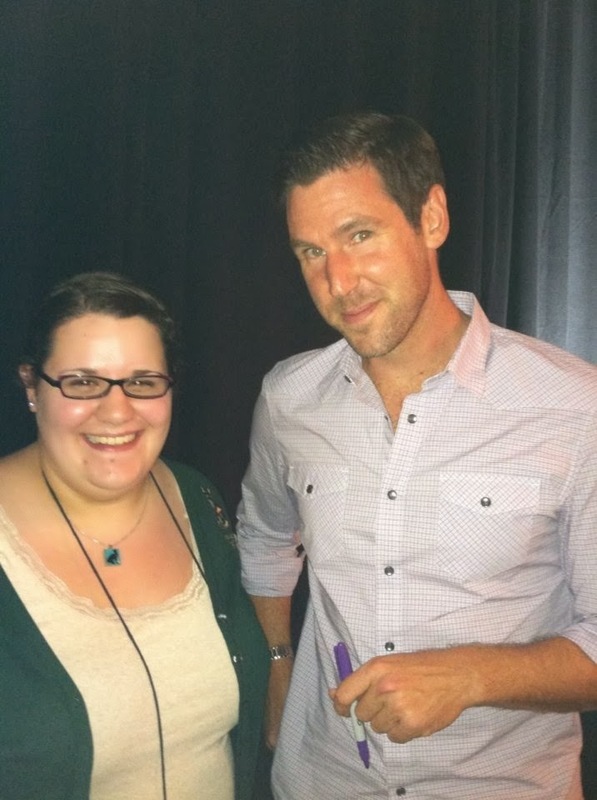 SP: One of my favorite parts of owning a jewelry business is the people I get to meet. I love getting to know my customers and their preferences, and I hope to continue making jewelry that people love. Readers can use the coupon code "RSHUBIN" to receive $5 off. Please do note that this coupon code can only by used one time per person only. 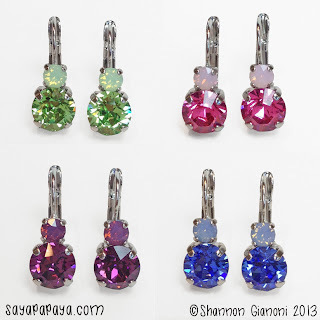 Shannon has graciously offered to give away one pair of the two-stone drop earrings in one of the color combinations pictured below. Choices exactly as pictured: green, pink, purple or blue. You can enter via the Rafflecopter widget below. Giveaway will run from Monday 12/2/13 12 am EST to Monday 12/9/13 12 am EST. No purchase necessary, void where prohibited. Only open to US residents. Winner will be notified by email. Receiving free earrings did not persuade my review or opinion. In fact, I wanted to do a review after receiving the earrings. All opinions are mine, honestly. It is always fun to look in magazines and read their "Under $10 Gift Guide" or "Best Gifts for Pet Lovers" suggestions. 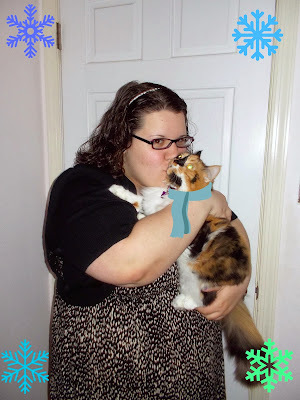 That is why I am excited to bring you my personally selected Sandpiper Cat Blog's First Annual Holiday Gift Guide. Some of the products will have special coupon codes available, so make sure you check those out. 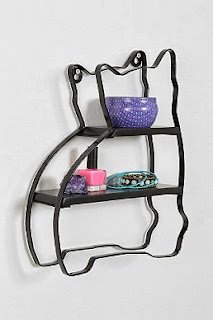 Also, I have pinned all these images on my Pinterest page on a board called Sandpiper Cat Blog Holiday Gift Guide. All the products are linked to take you directly to where you can purchase them! If I have previously reviewed the product on my blog, I will link that as well. Happy gifting! If you do purchase any of these items, please let me know how you (or to whomever you gift them) like them! 1. 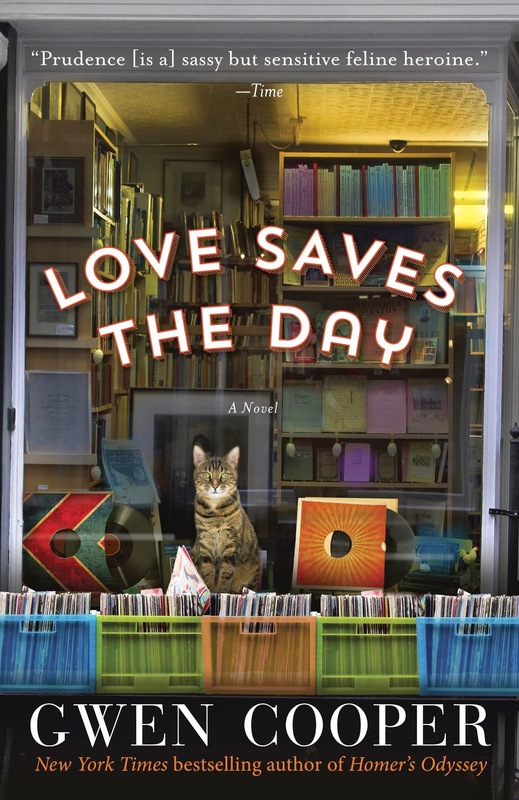 Love Saves the Day by Gwen Cooper, $12.08. A portion of the proceeds from Love Saves the Day benefit the Blind Cat Sanctuary in North Carolina. 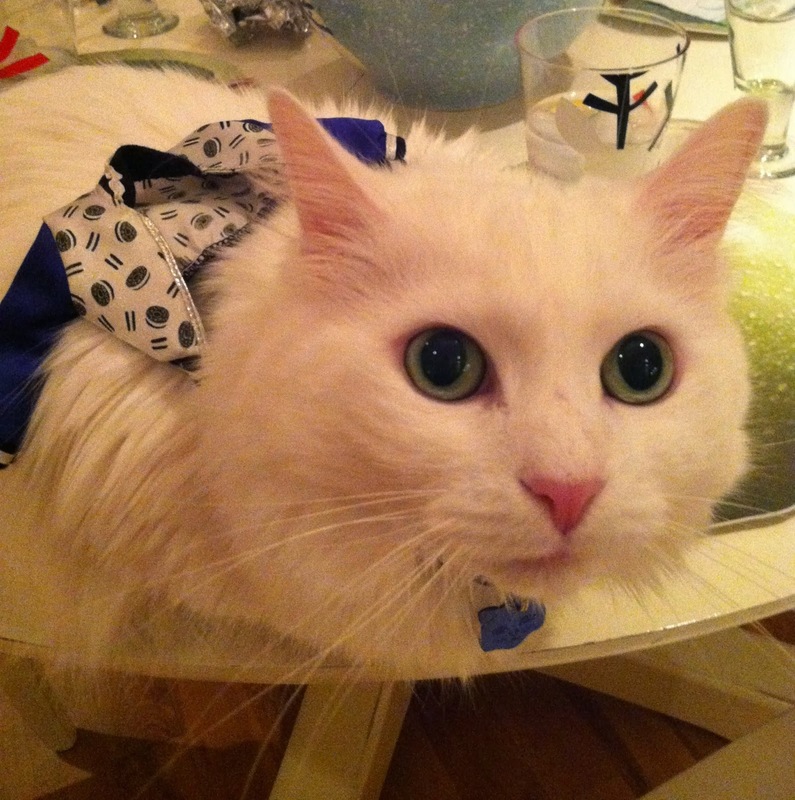 Love Saves the Day is an amazing story about Prudence the cat. One day, Prudence's owner Sarah doesn't come home. Prudence goes to live with Sarah's daughter, Laura and her husband Josh. Prudence doesn't understand why Sarah left her and hopes she will come get her soon. This is a tale of love, hope and how animals help you heal. Read my full review here. 2. Buckley's Story, Purrs of Wisdom and Adventures in Veterinary Medicine (eBook) by Ingrid King, respectively $12.89, $9.58 and $1.99. 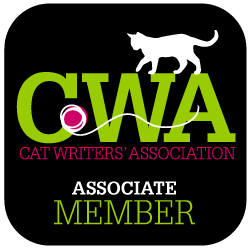 Author of The Conscious Cat blog, Ingrid King has a trio of books written about the many ways cats have shaped her life. Each story features different cats and how they came into her life and changed it for the better. 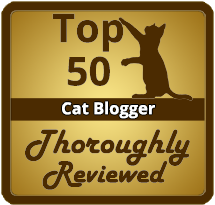 Read my reviews of Purrs of Wisdom here and Adventures in Veterinary Medicine here. 3. 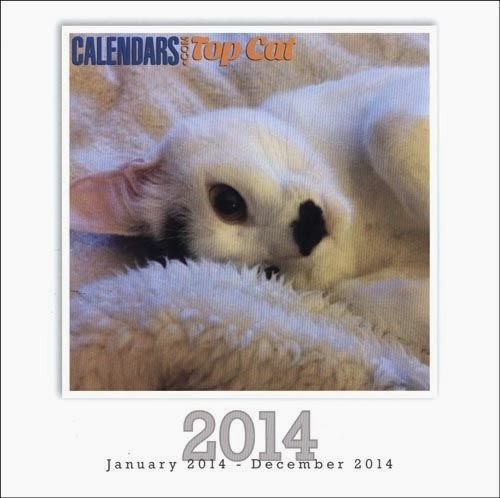 Top Cat 2014 Wall Calendar, $13.49. My kitty friend Jeddah of Jeddah's Journey won the Calendars.com Top Cat 2014 Calendar Contest. She is featured on the cover and is Miss July! 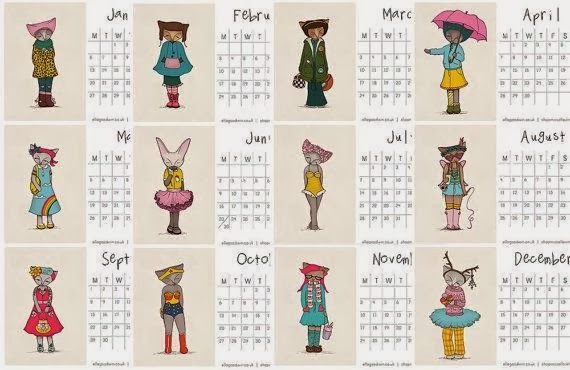 This kitty calendar is purrfect for the cat lover in your life. 4. Cat Calendar 2014 - "Catlendar Girls' Printable Download (downloadale), $7.50. 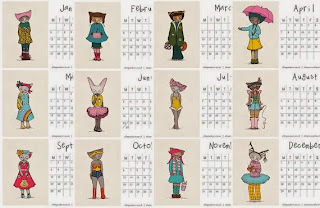 My dear friend Ella Goodwin has created a beautiful calendar with kitty illustrations "appropriately attired for the year" as she says in her description. "This would make a fab Christmas pressie for any kooky cat lovers!" It is also ready in a print ready format for $18. 5. The Yoga Cat Mat Toy - Etsy Feline Yogi Shop, $24.99 ($19.99 special offer for Sandpiper Cat Blog Readers) The Zen Way for Cats to Scratch Lounge & Play is described by the owner, Paige Hodges. 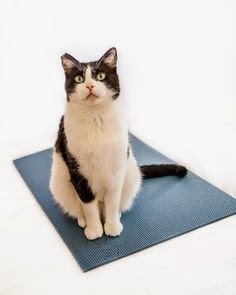 Cats love yoga mats so why not give kitty one for her very own this holiday season! The Yoga Cat Mat is a cat toy, cat scratcher, and cat lounger all rolled into one! This unique cat toy is ideal for scratching, sharpening claws, getting stoned on catnip, and hanging out and practicing resting pose. 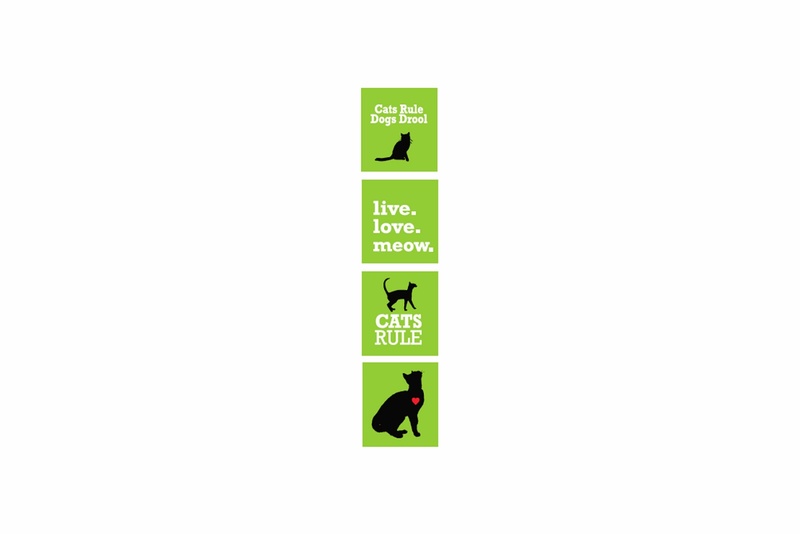 Handcrafted in Los Angeles California, The Yoga Cat Mat comes in four vibrant colors: olive green, slate blue, purple, and red. 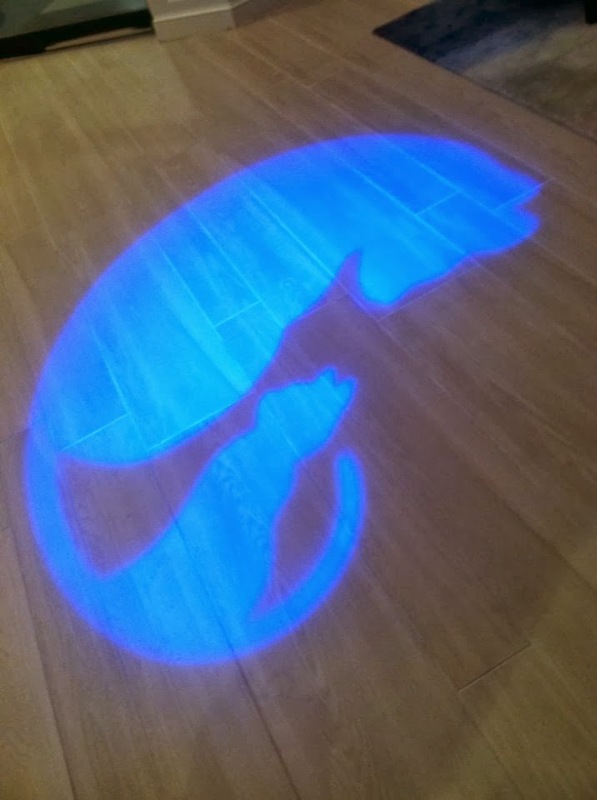 Visit us at our Etsy store: https://www.etsy.com/shop/FelineYogi and use the online coupon code: SANDPIPERCAT101 for $5.00 off any Feline Yogi Yoga Cat Mat until December 31, 2013. Feline Yogi is committed to helping those kitties amongst us who are most in need so a portion of all sales are donated to help homeless cats. Meow and Namaste! 6. 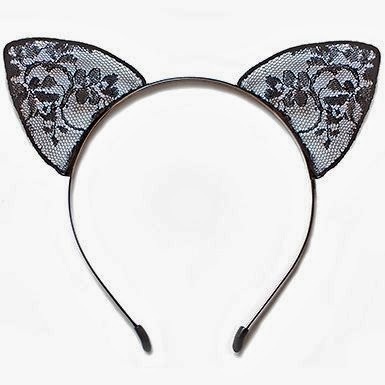 Cat Eared Black Lace Headband, $20. By buying this cat ear headband, you are helping out shelter cats. On trend, playful and stylish, the headband will have cat lovers saying me-wow! The ears are made from sheer black lace and sit upon a black satin headband. It is a limited edition headband. 100% of the $20 purchase price will benefit the ASPCA (American Society for the Prevention of Cruelty to Animals). 7. 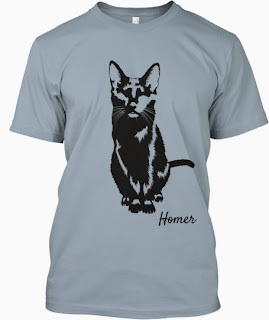 HOMER for the Holidays (Limited Edition) Tee Shirt, $18.50. Please note this item is available until 12/3/13. 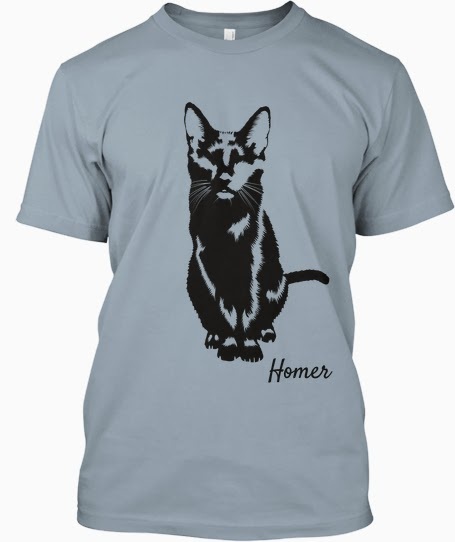 Gwen Cooper and family are offering these limited-edition custom, high-quality tees featuring an exclusive rendering of Homer, the Blind Wonder Cat who inspired millions. 20% of the proceeds will go to the International Fund for Animal Welfare, bringing aid to thousands of animals left injured and homeless in the Philippines after Typhoon Haiyan. Buy one now and give the gift of love this holiday season -- to yourself, a friend, or family member, and animals in need all over the world. Comes in XS-3XL. Colors include white, light blue (pictured), soft pink, athletic heather and canvas red. 8. Thanksgivukkah Trio Nail Polish by PhillyLovesLacquer (Etsy), $30 (or $12 individually). In a previous review you can read here, I featured PhillyLovesLacquer, a Philadelphia based indie nail polish run by Esther Fox. She creates her own nail polish and part of the proceeds benefit an organization called Forgotten Cats. Purchasing this awesome Thanksgivukkah (because the second night of Hanukkah falls on Thanksgiving Thursday) will leave you with gorgeous nails and help out cats in need. 9. Saya Papaya Jewelry (earrings pictured $30), various pricing. Run by Shannon Gianoni, Saya Papaya is a Pittsburgh, PA based jewelry business. 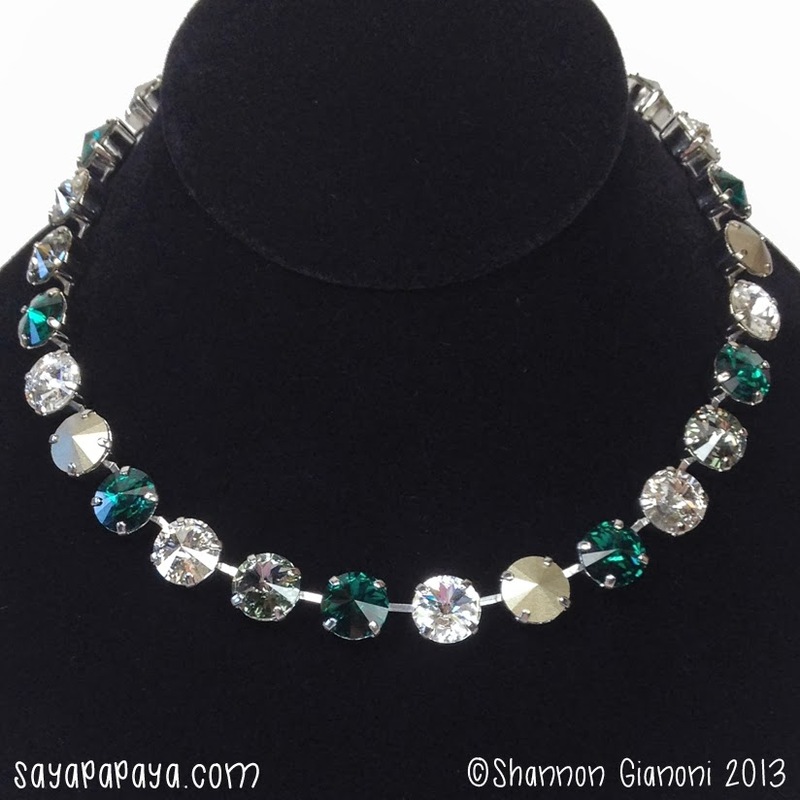 Shannon personally creates all of her jewelry, which features a vast array of Swarovski Austrian crystals. 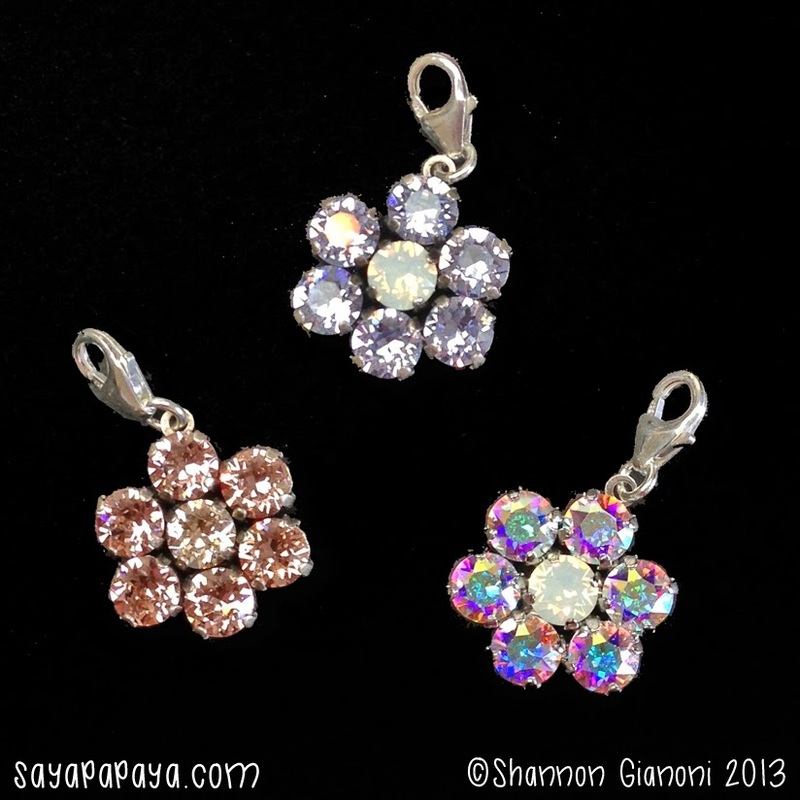 A portion of the profit from every Saya Papaya sale will be donated to Animal Friends. 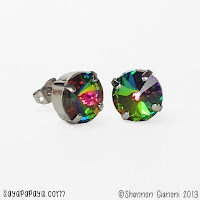 I will actually be doing a review and giveaway of Shannon's earrings pictured above, in the following weeks, so make sure you stay tuned for that. In the meantime, readers can use the online coupon code "RSHUBIN" to receive $5 off a purchase. Please do note this coupon can only be used one time per person only. I personally have a pair of these earrings and absolutely love them. 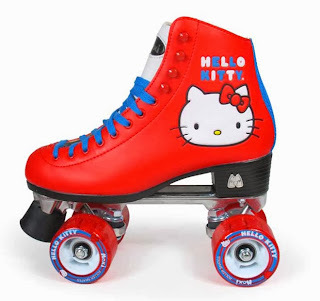 They are perfect to dress up an outfit, but can also fit your casual style days as well. I highly recommend her products and they come in so many different colors. The bag I bought has adorable little kitty ice cream cone fabric. This bag is mine & is not available. 10. 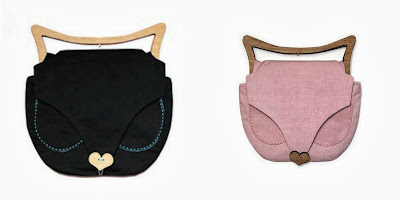 Cat Bag with ear handles $65 sale (black) & $99 (pink) by ShopMissElla on Etsy. 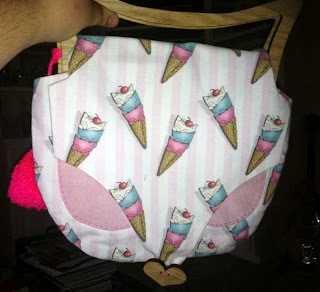 Ella's products are all fabulous, and these purses are no exception! The handles are made with oak wood and the interior of the bags are lined with fabric. Ella laser cuts the wooden handles which makes them lovely to hold. These bags are perfect for a night out on the town where you want to show off your absolute love of all things cat! The bags also come in a variety of styles and fabrics, and Ella will take custom orders. I had my own bag made by Ella in the summer and it is just beautiful. It is light, fits a lot and is just fun to carry around. You absolutely cannot go wrong with one of Ella's adorable bags. 11. Garden Flag First Light from Portraits of Animals Etsy Shop, $15 (brackets sold separately). 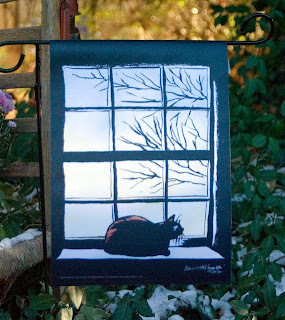 Created by artist Bernadette Kazmarski, this gorgeous garden flag depicts her black cat Mimi on the bathroom window sill watching the sun rise. We have one of Bernadette's flags outside at our beach house. It is durable and meant for indoors and outdoors. The design is on each side. Wow, I think that just about does it for my first annual gift guide. I had so much fun picking out items that I love and especially those that benefit animals. I hope you enjoyed the gift guide and have some great ideas for presents! Please understand that we cannot ensure the availability of these products. All items were available at the time of this post. Coupon codes void where prohibited. All items void where prohibited. 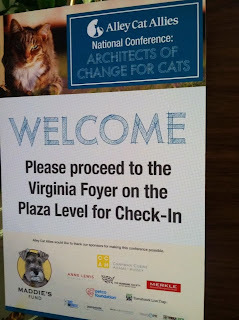 This past weekend I attended the first Alley Cat Allies Architects of Change for Cats National Conference, in Arlington, Virginia. 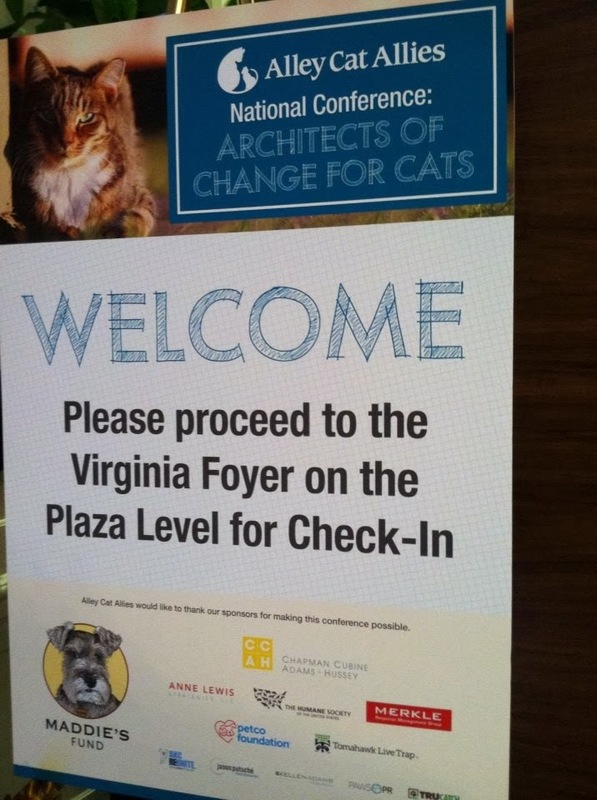 The conference was full of cat lovers from all different backgrounds - people who care for cats and want to improve the world for cats. The conference was well attended, with 350 people from over 38 states and two countries. I got to socialize with my blog friends Dorian of Your Daily Cute, Tamar of I Have Cat, Joanne of The Tiniest Tiger and Ingrid of The Conscious Cat. I was there not only supporting my blog but supporting my local rescue organization that I have been with since 2005, Lost Dog and Cat Rescue Foundation. On Saturday I attended the opening session where Mike Arms, who is President of the Helen Woodward Animal Center in California. He spoke about the story of a cat named Scarlett, a former feral cat that saved her kittens from a burning building and suffered severe burns. My mom nudged me and said, "Remember that book about the cat named Scarlett you read as a child? This story he is telling is that book!" (Here is the childhood book I read on Amazon). Mike talked about how it is important to know that just looking at a cat and saying "I love you" won't save its life, you have to save its life by taking action. He is definitely right. We also heard Major Steve Lamb talk about the Spartanburg Animal Services, which was very fascinating. They are an animal control team in South Carolina that has done wonderful work for feral cats. At dinner. Left to right: Ingrid, Joanne, me, my mom Julie and dad Harry. The dinner entertainment was none other than the host of Animal Planet's Must Love Cats, John Fulton! Check out a video here I recorded on Instagram of John singing the Must Love Cats theme song. Overall, the Alley Cat Allies conference was a blast to attend and I hope there will be another conference in the future! 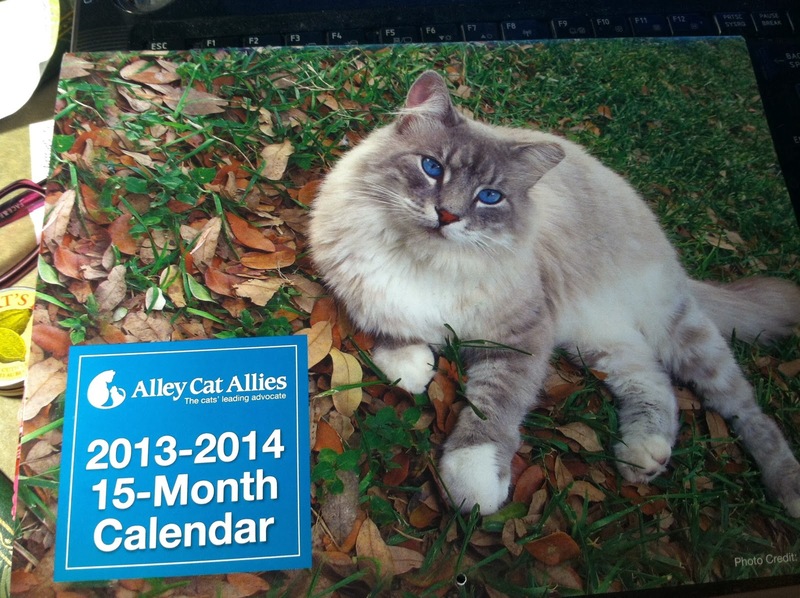 I have two extra Alley Cat Allies 2014 Calendar to giveaway and well as two "I <3 Feral Cats pins!" 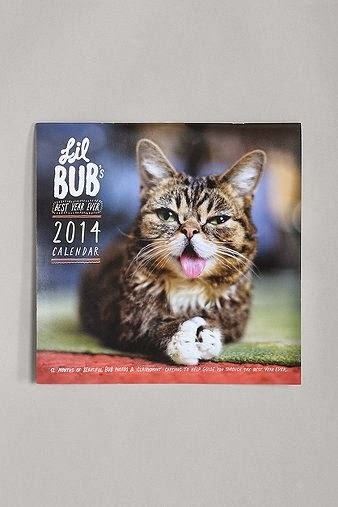 There will be two winners (each will win a calendar and a pin). Please enter through the Rafflecopter widget below. This giveaway is only open to US residents. The giveaway will last from November 14, 2013 to November 21, 2013 at 12 am EST. 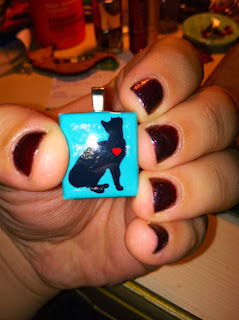 I am totally a cat jewelry lover. 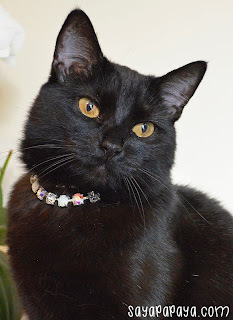 Any time I find a piece of cat jewelry I like it is so hard to say no! 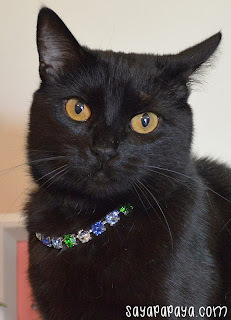 I love to represent my cat loving roots and flaunting that through jewelry seems like the perfect way to do so! Back in the summer, my friend Gina went to a local festival and posted a picture of this gorgeous necklace she had purchased there. 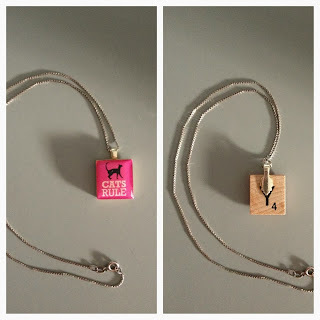 A cat pendant that says cats rule and it was on the back of a scrabble tile. I I loved it and wanted to get one of my own! I contacted Etsy Seller Kate Amarelo, the owner of Ruivo Armadillo by Kamarelo Designs to find out some information about her jewelry. Her website is http://www.kamarelodesigns.com/. Sandpiper Cat Blog: How did you get into jewelry making? SCB: Do you have any animals? KA: I lived with pets as long as I can remember! Growing up, my cat was named Savannah. Her name was super uncreative - our neighborhood was Savannah Square! She passed when I was in high school so I had a pet break until I got to college when roommates always brought along their pets. After I graduated, I got my first 'real' job, a coworker took me to the Humane Society and my cat Lady came into my life. I really wanted two cats and to name the other Tramp because it made me laugh! But I reconsidered because I wanted to be a good first time cat mom and figured I should start with one. Now my fiance and I have a dog, Moose. And he's the greatest! 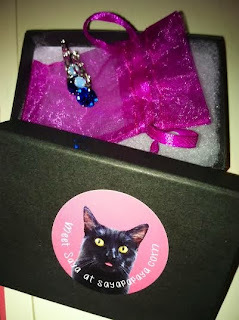 The blue charm above is the one Kate was so kind to send me, to review for my blog. 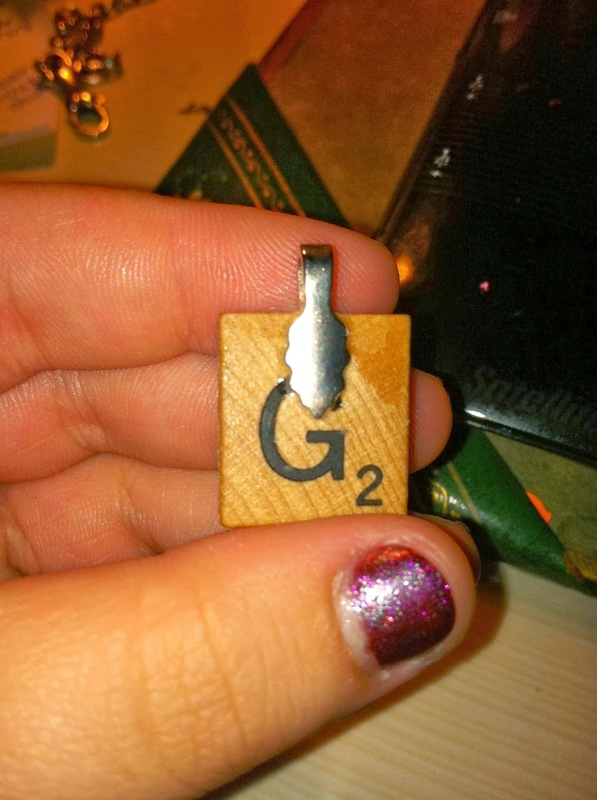 I have to say I am so impressed with the quality of the charm. Kate is able to take an average scrabble block and make it into something so unique and beautiful! I have received many compliments while wearing this necklace and I absolutely love it! Which is why I am so glad that Kate is allowing one of my readers to enter to win one of her necklaces! Through the Rafflecopter link below, entrants can pick out one of the images below and a color that they would like a chance to win! US entries only, please. The giveaway will run from 11/7/13 at 12 am EST to 11/14/13 at 12 am EST. Winner will be contacted by email. Good luck! Receiving the free pendant did not influence my review. All opinions are my own. 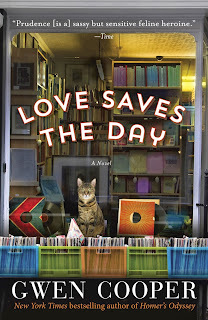 Gwen Cooper's latest book, Love Saves the Day, is out in paperback this week. Gwen is donating 200% of her royalties on all paperback sales through Sunday October 27, 2013 to Blind Cat Rescue & Sanctuary, Inc. in Homer's memory. In other words, every one paperback copy purchased this week counts as two copies for donation purposes. The book is available at Barnes & Noble, Books-A-Million, your local independent bookseller (if they don't have it, you can ask them to order it! ), Target, Costco, and online at Amazon. I am so happy to support Blind Cat Rescue & Sanctuary! I for one will head out and buy a paperback copy of LSTD to support sweet Homer. Read my past reviews of Love Saves the Day and Homer's Odyssey. Let’s face what all cat owners know. Cats sleep a lot. Cats can sleep on average thirteen to fourteen hours, even up to twenty hours a day. My cats like to pick the funniest places to sleep. In our lazy Susan, cabinets, by the vents, under desks, on the kitchen table, on plastic bags…you name it, they have slept there! Occasionally they like to sleep in beds, but you are more likely to find them on a couch or our beds. Being cats of a modern time, there are all sorts of cat beds that are offered. From high up pods to foamy pillow pads, there are many cool beds. But the coolest bed we have come to use so far? The Peach Industries Kitty Lounger Mini! This lounger pet bed is so easy to assemble. It comes with directions so simple, that even I was able to put it together (I’m really direction dysfunctional). The moment I put it down, a cat was in it! I was not sure if they would understand that this new little hammock bed was actually a bed to sleep on, but apparently my cats are smarter than I give them credit for! Everyone loves this bed! Piper was very pleased to curl up in it. The moment she got out of it, Brooke jumped on. Piper on the lounger for the first time. I have even caught Henry and Pearl in the lounger. 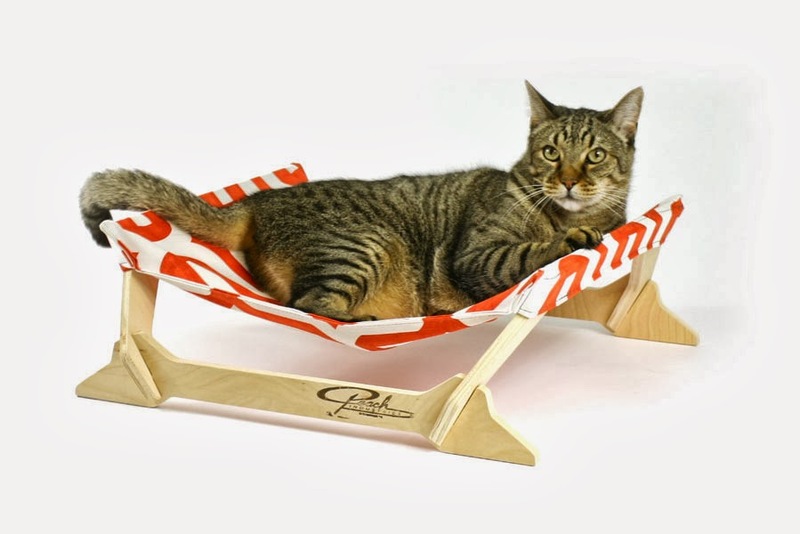 This kitty lounger mini is perfect for pets of all ages. For reference, Piper is 2, and Henry, Brooke and Pearl are all about 7.5 years old. No one is over ten pounds, though the bed can accommodate a pet up to 15 pounds. The lounger cover is very durable and it is machine washable (lay flat to dry). The creators behind this amazing bed are Mike and Georgia Barbush. This product came to be when the Barbushes put together their combined minds of an industrial designer and a vet technician! They created their product to maintain a sleek home environment designed for pet comfort and human aesthetic. Henry was so happy to stretch out his toes on the new lounger. The Peach Industries Loungers are assembled with no hardware (yay!). Like I said, the covers are machine washable and should be laid flat to dry. The covers are sewn with 100% USA cotton and 100% USA thread (double yay for an American made product). They even come with adhesive foam beds if you want to have your lounger on a hard wood floor. Overall, we give this lounger both paws up! 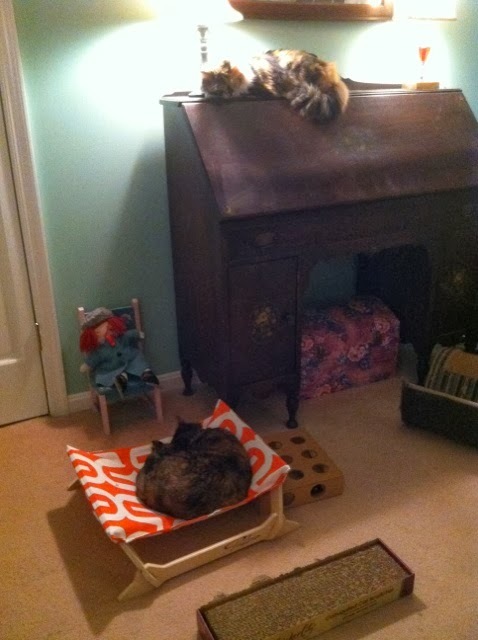 Four out of four cats agree that this is the most pawsome bed around! 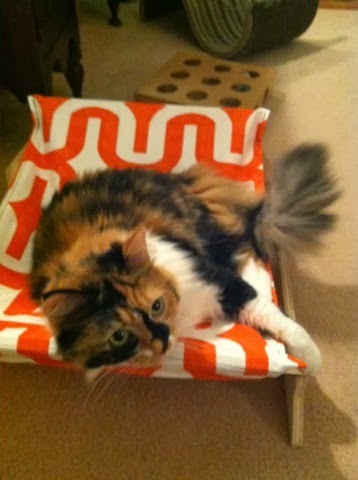 Brooke gives this lounger two paws up! And guess what? YOU, my readers, have a chance to win a kitty lounger mini! We are giving away one kitty lounger mini. The winner will be able to pick the color of the cover. Entry details below. Connect with Peach Industries on their website; Facebook; Twitter. -Giveaway will be open Thursday 10/17/13 to Thursday 10/24/13, opening/closing at 12 am EST. Receiving a complimentary lounger did not influence my review whatsoever.